More tables. Bigger numbers. Better service. Big plans. 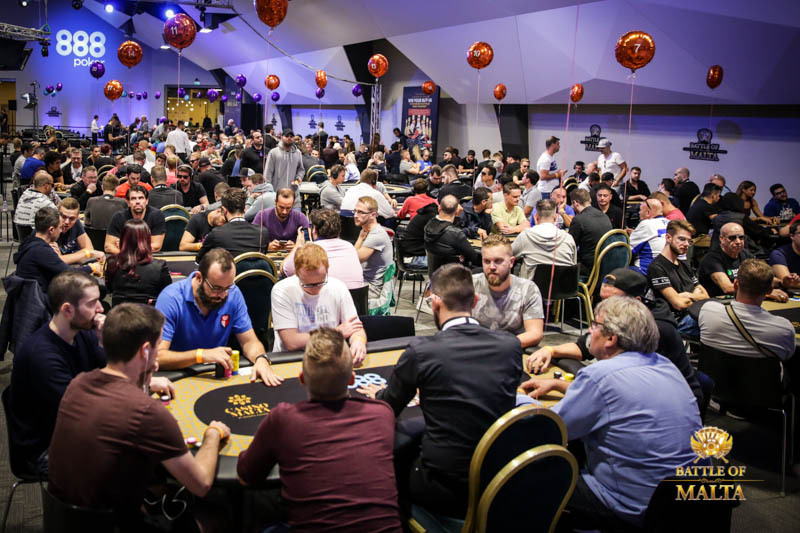 The 2018 Battle of Malta had its small hiccups but to Casino Malta Marketing & Events Coordinator Telly Bartolo, that’s still a good sign – that more players showed up at the 2018 BoM than even expected. The ballooning of the prize pool to a gasp-worthy €1,850,760 was obviously enough to compensate for most people but players on the fence about returning next year should fear not for the small obstacles to return next year. The BoM powers that be have made their notes on what could be even better and the 2019 Battle of Malta, says Bartolo, will be bigger, better and smoother than ever before. Our host Laura Cornelius sat down with Bartolo and Events Director Diane Fenech to learn more and they went in-depth on just how much work it took to take this massive first step in BoM’s evolution and how they’ll take it even further in 2019. 888poker’s back on board, the sponsors are lining up to participate and the buzz emanating around Europe about this now-essential stop on the poker circuit will only grow bigger.